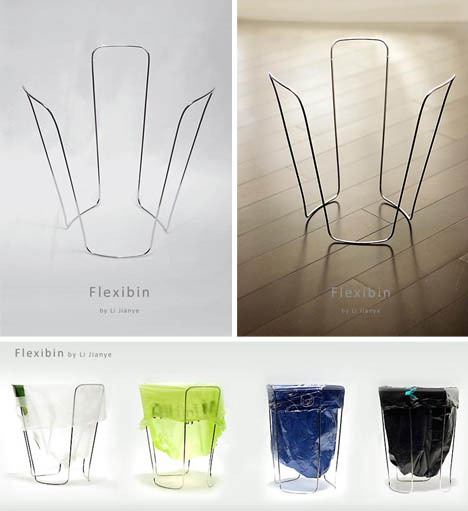 One piece of metal wraps and twists to form what may be the lightest and thinnest garbage can in the world – not even a can so much as a means of holding up a plastic trash bag. 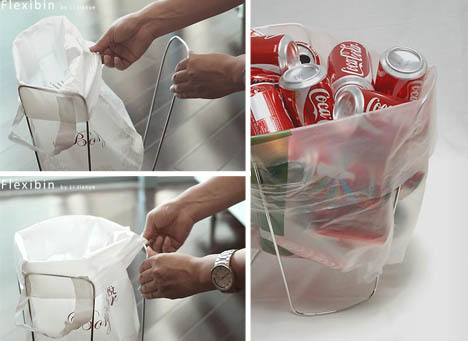 Thanks to its less-defined shape, it can suitably hold all kinds of recycled bags without seeming over- or under-sized to the task. No need to worry about color clashing with the simple reflective steel, either. 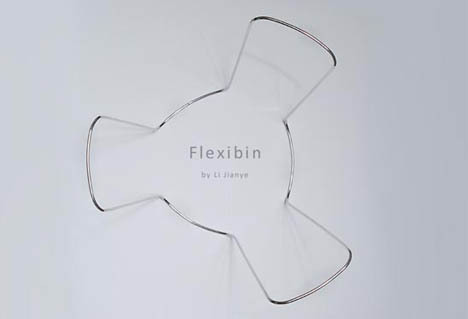 The natural flexibility of the malleable material makes it easy to add and remove bags as well. Li Jianye is a Chinese product and systems designer who has worked in Beijing and Hong Kong; he regularly publishes side projects and concepts on his blog.